Parliament regularly issues Eurobarometer surveys on public opinion, monitoring citizens’ expectations, concerns and voting intentions. Q: Taking everything into account, would you say that (our country) has benefited or not from being a member of the EU? The next Eurobarometer survey will be published in April. Starting 18 February, Parliament’s services publish projections of seats of the next Parliament’s composition including country-by-country data, based on evolving voting intentions. In the run-up to the elections, data from polls are updated regularly. European Parliament and EU Commission surveys are carried out by the same contractor with the same methodology, to allow for direct comparability and observation of trends. 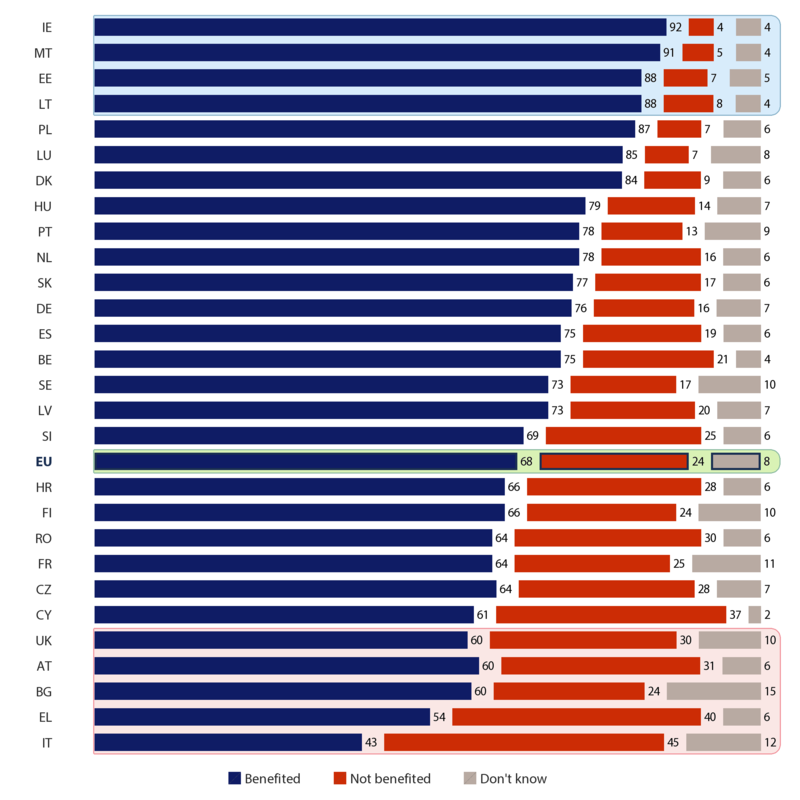 They use face-to-face interviews with around 27 000 respondents in all 28 EU member states, drawn from the general population aged 15 years or more.